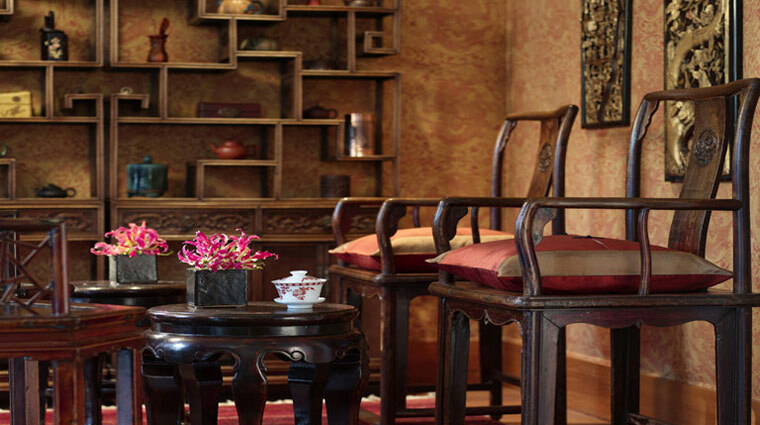 There are many reasons to dine at Shanghai Terrace inside the Five-Star Peninsula Chicago, from the menu with its emphasis on meticulous dim sum creations, to the elegantly appointed dining room with its black lacquer chairs and classic Shanghai-inspired decor. But the biggest draw is the actual terrace that gives the restaurant its name, with stunning views of the skyscrapers that surround the hotel. The fourth-floor alfresco area provides the perfect place to sample everything from traditional Peking duck to creative foie gras and lobster dim sum. During the spring and summer, when the terrace is open, you’re in for an eyeful: The tables are set back from the wall so that you have a postcard-ready sight of Magnificent Mile’s glittering lights and a glimpse of Lake Michigan. Sit on one of the couches, which are enshrouded by canopies of colorful flowers, with your cocktail and admire the view. Add that visage with the innovative takes on traditional Cantonese fare prepared by chef de cuisine Elmo Han, and you have a dinner spot unlike anything else in the Windy City. Even when it's too cold to sit on the terrace in the winter, you’ll still be able to spy breathtaking Lake Michigan from the main dining room. The location can be hard to find. 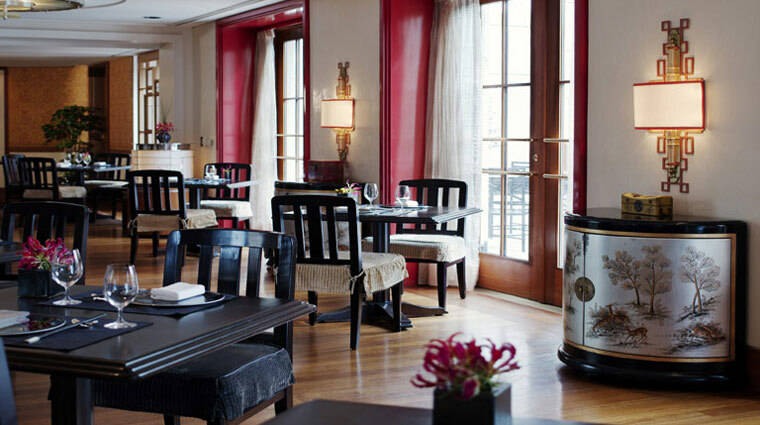 The Chinese eatery is tucked on the fourth floor of the Five-Star Peninsula Chicago. To get there, take an elevator to the fifth-floor main lobby, then go to the staircase and walk one flight down. Keep your eyes peeled for the inconspicuous entrance: a small red door. With just 70 seats and cozy table arrangements, the intimate main dining room is ideal for private conversations, making it quite the romantic meal. Guarantee your spot by calling making a reservation. The savory menu may lure you in, but the impeccable service will keep you coming back. Have a question on the menu? The wait staff, many of whom is Chinese, is approachable and knowledgeable and can help you decide on some dishes. 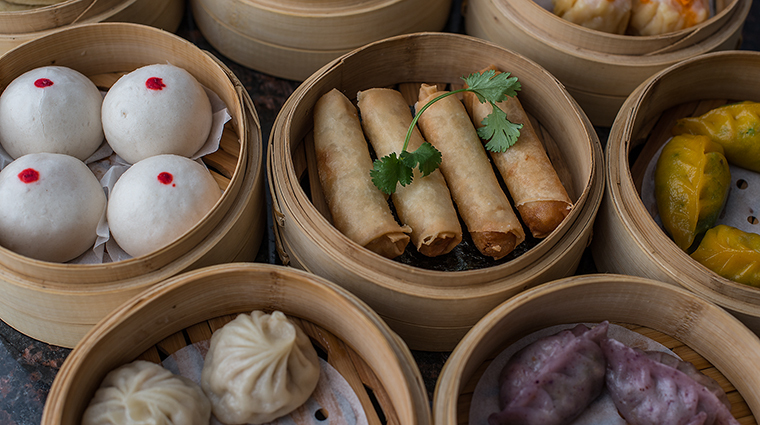 •At lunch, nibble on bamboo baskets brimming with freshly steamed dim sum such as barbecue pork buns, Peking duck and shrimp and chive dumplings. 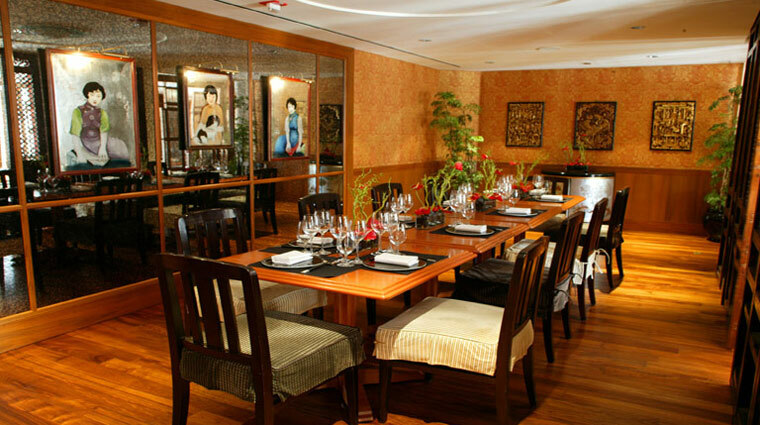 •The menu is based off of the Cantonese-Shanghainese fusion fare. You’ll find authentic favorites, from crab wontons to a five-course Peking duck meal, and the plates are piled high, so you can share with your friends and family. 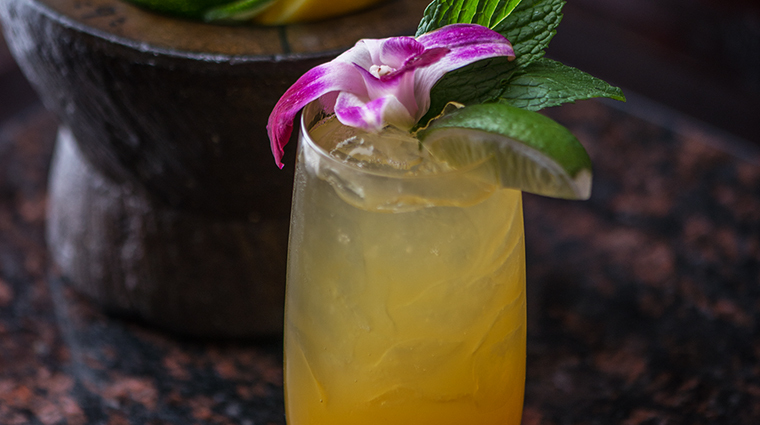 •Don't pass up the signature cocktails like the Chrysanthemum, made with Bombay Sapphire gin, ginger shrub, orange, chrysanthemum and honey koval; or the Orchid, which has Grey Goose vodka, Pama, dragon fruit and jasmine syrup.